Some boats and the white houses of the small village Bono on the banks of the river Bono. 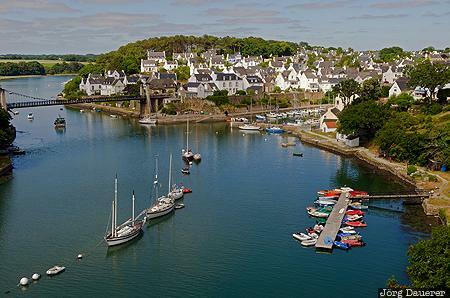 Bono is in southern Brittany (Bretagne) in the north-western part of France. This photo was taken in the afternoon of a sunny day in May of 2011. This photo was taken with a digital camera.